My little Niah has just started walking in early Decembers so this was a huge milestone and happy days for us. It was time for us to start thinking about appropriate footwear for Niah as it’s so important to wear shoes outdoors just as much as us adults. 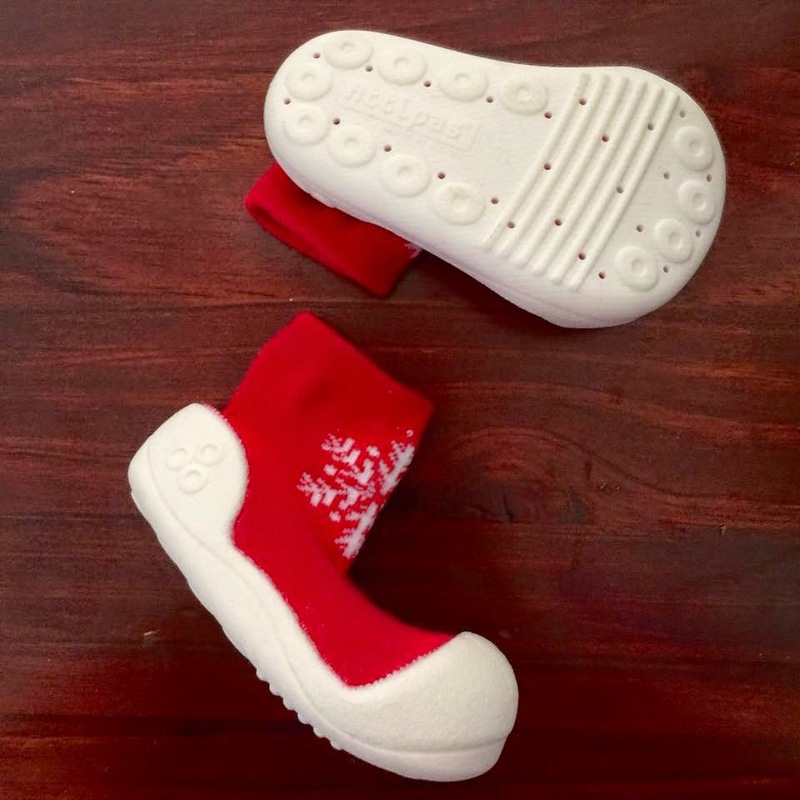 These shoes are great for knowing that they’re shoes that will stay on, the kids will have a hard time trying to pull these off - my Niah did. When Niah goes through her shoe pull off times these shoes do not come off, no matter how hard she tries! Fear not that you will be that Mother that has the child with one shoe on when you get to the car after a shopping trip or have someone run after you in the store with a single little shoe in hand. When I first looked at the design of Attipas I wasn’t sold on how they looked as they reminded me of clown shoes to be completely honest but once on feet they look fine and I don’t have a problem with them, they’re rather cute in a unique way. 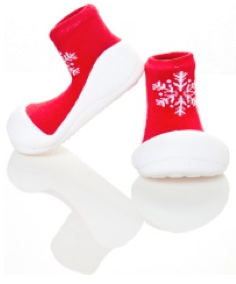 Attipas has a large range of colours and styles to match your child. We were kindly sent out a pair of Christmas ones to get ready for the festive season which we loved teeing up with her Christmas outfits. I know I am a little late on getting this up seems as we were sent Christmas Attipas but I still wanted to introduce you to the brand if you haven't already come across them or to give you my thoughts on them if you are contemplating on getting your little one a pair. At the end of the day it really comes down to what you would feel comfortable in and what feels right. Well, in our cases as Mums we are looking for what feels right and I don't think you can go wrong with Attipas. 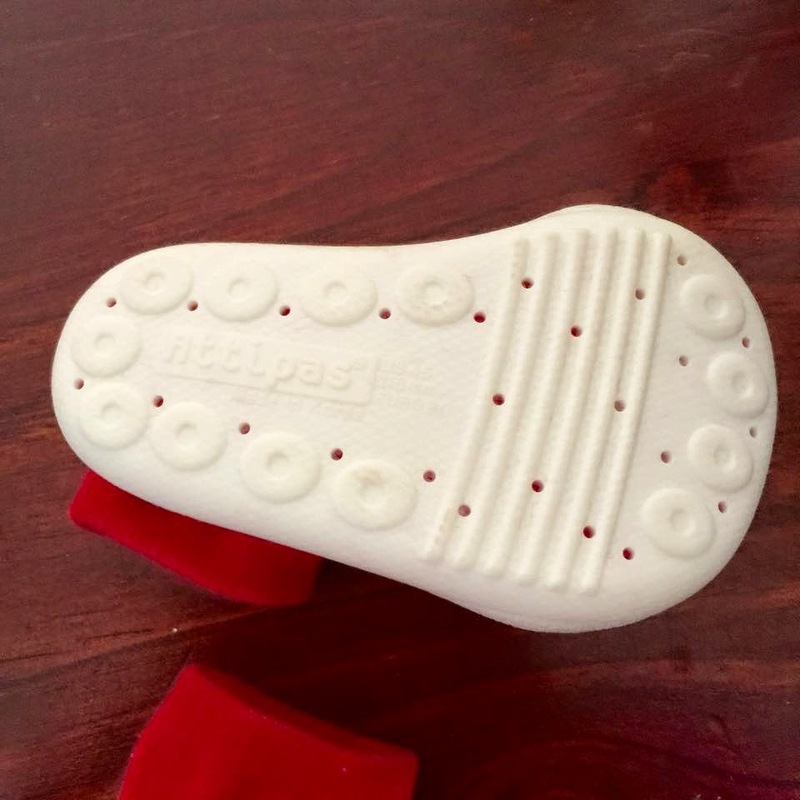 Attipas toddler shoes are made with a non-slip gripped sole, are highly breathable and support your infant from their very first steps. 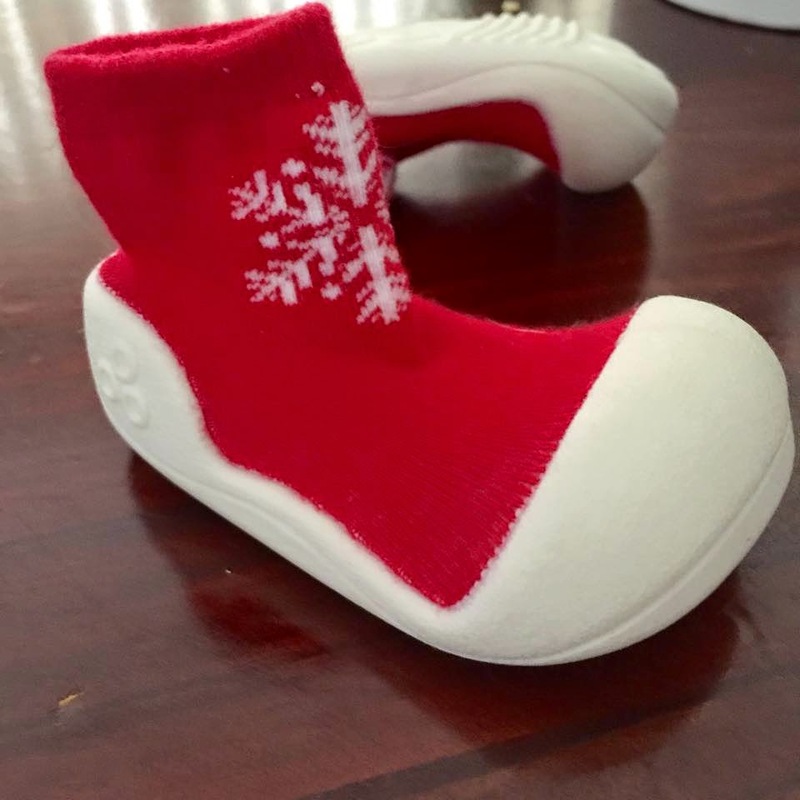 As light as a sock, but more supportive than a pre-walker, Attipas toddler shoes have been specifically designed to help infants learn to walk based on seven years of research at the University of Seoul in South Korea. 4. Non-toxic: to prevent exposure to potentially harmful materials. Attipas come in four sizes for an RRP of $29.95.